London likes to keep fit, well rested and in shape these days. 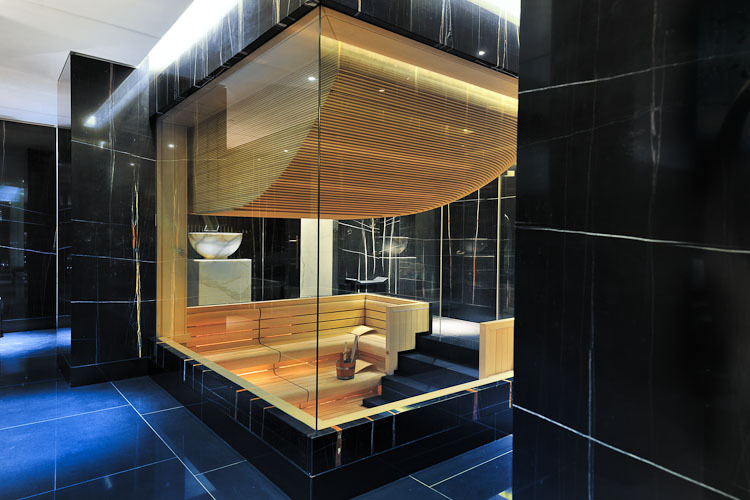 In anticipation of the 2012 Olympics, new hotels and spas are popping up all over the UK capital. 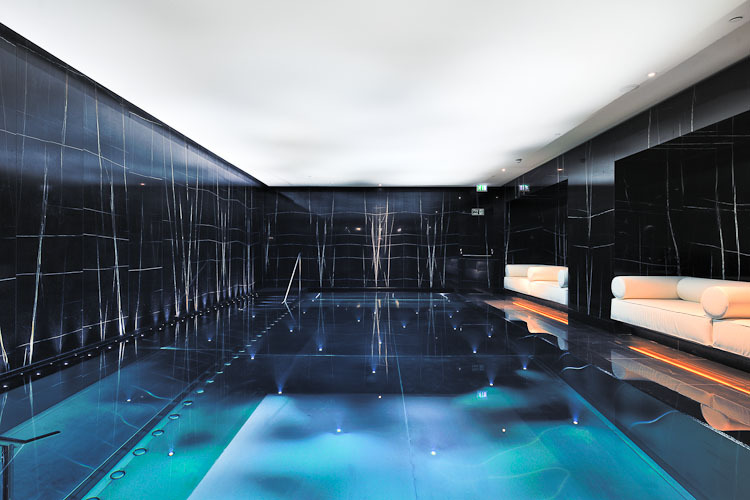 2011 saw the opening of the Corinthia hotel in Whitehall and it’s impressive four-floor and 3.300 square metres ESPA Life spa and gym. This grand old building was previously the Ministry of Defence HQ and has now been revamped by GA Design with a £300 million budget to spend. 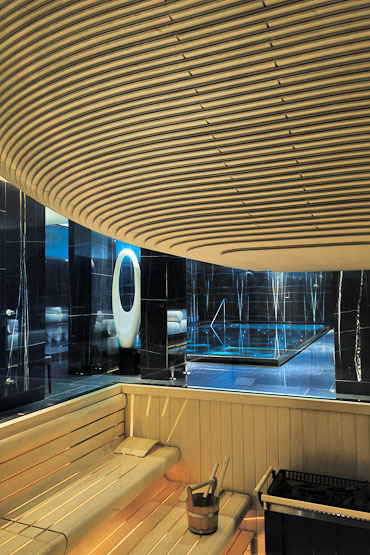 The spa is sumptuously kitted out with calacatta and black marble, tiled hammam-style steam rooms and a curious steel swimming pool – the lighting around it works so that movement in the water is reflected on the ceiling. 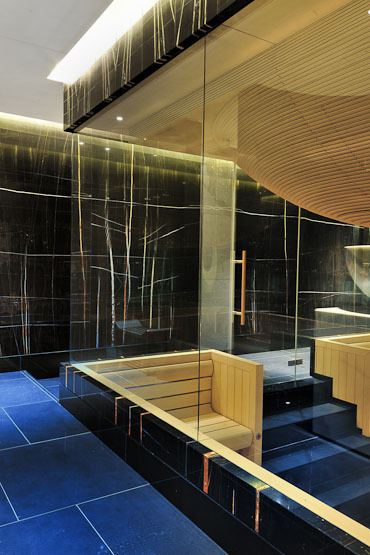 We especially like the German Klafs sauna with an amphitheatre-like design. 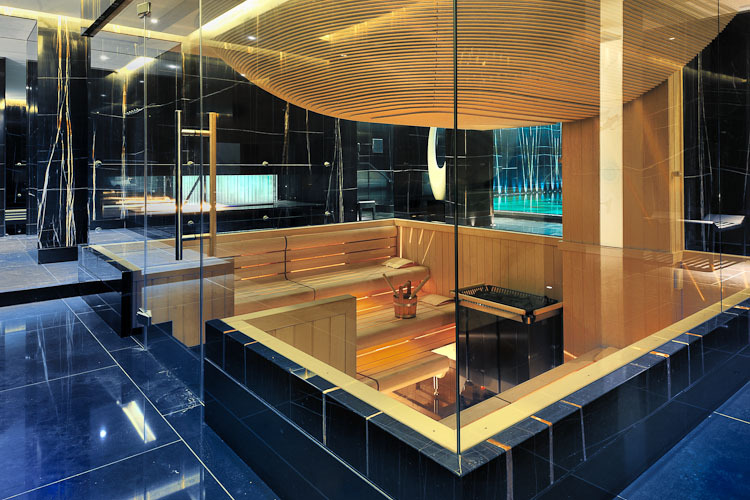 Relax on sunken benches and look out through its glass walls on to the rest of the spa. 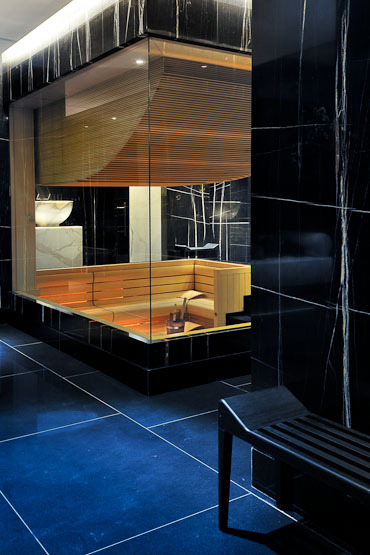 It’s the perfect alternative for those not liking the claustrophobic feel of a traditional sauna. 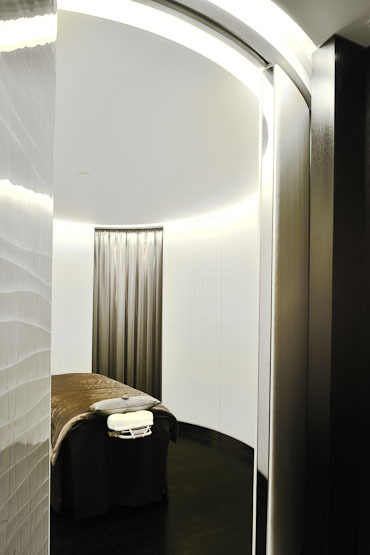 Within the 17 treatment rooms, or rather pods, it’s all about the ESPA’s cutting-edge treatments and therapies. 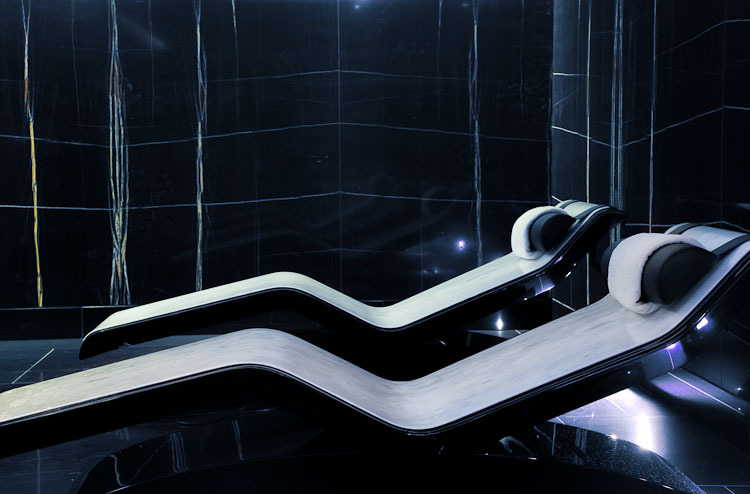 The walls of every treatment room are softly curved, specifically designed to enhance the flow of energy and the boudoir-style dressing rooms are fantastic. Of course, staying at the Corinthia hotel is a real treat. Have high tea at the lobby lounge underneath a domed atrium that floods the area with natural light, from which a huge chandelier made from 1,001 Baccarat crystal baubles hangs. The hotel offers 294 rooms on seven floors, including 43 suites. They are very spacious for London: 30 sqm to 470 sqm for the Royal Suite. We loved the free Wi-Fi and there is your free copy of Monocle magazine in every room. A plus is also the media hub with international sockets, a minibar stocked with Harrods products, Nespresso machine and a Loewe 32-inch flatscreen TV. Bathrooms are finished in Italian marble from Carrara and feature a rainshower and separate tub. 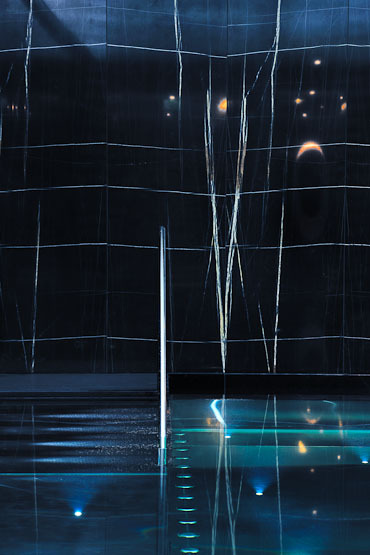 And who wouldn’t love the addictive Espa bath products? ESPA massages start from £95. 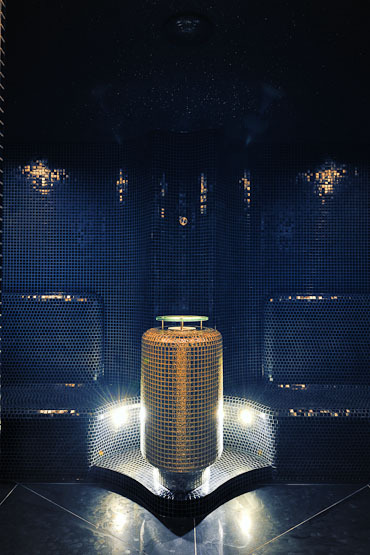 2 hours ESPA time starts from £210. Staying at the Corintha Hotel starts around £400 a night.